Sign up and receive Property Email Alerts of Villas to let in Golf Course Villas, Zimbali Coastal Resort. Modern, gorgeously decorated three bedroom villa with beautiful forest views. Open plan lounge, dining-room and kitchen, with separate scullery. Two immaculate bathrooms upstairs for the three elegant bedrooms. Guest toilet downstairs off the lounge. Patio with gas braai and outdoor furniture. A wonderful space to relax overlooking the forest. Single garage with washing machine and tumble dryer. Communal pool in complex. Air-conditioning and DSTV in the home. 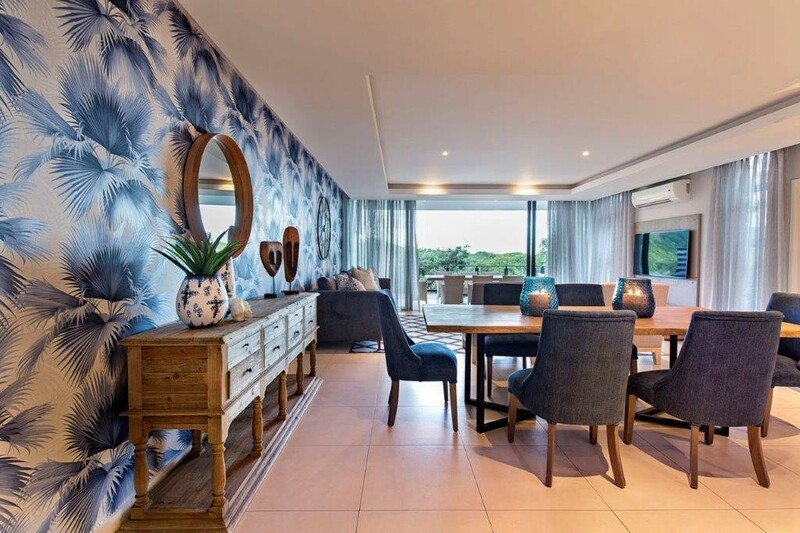 Access to Zimbali beach, Valley of the Pools, Bushbuck Clubhouse, tennis and squash courts. Various restaurants and pools in Zimbali. Bookings can be made at the Golf Course and Spa's in Zimbali. A great place for a holiday. Sign-up and receive Property Email Alerts of Villas to let in Golf Course Villas, Zimbali Coastal Resort.